Winning at Hiring: Three Tips to Elevate Your Success - Centrepoint Ltd. This month I had the opportunity to meet with a peer group of Small Business CEO’s to present on the topic of Winning at Hiring. Talent challenges, especially attracting and hiring, are particularly acute these days; small businesses are hit the hardest in our full employment economy, and their size can make it difficult to be talent competitive with larger firms. However, there’s a lot they can do as we explored in the presentation. Like every other business process that’s changing today, successful recruiting is no different. The goal of traditional recruitment has always been to get people in the door as quickly and affordably as possible. The rush to fill positions rapidly is often a reactionary approach and administratively focused – get the job posting out, screen resumes, schedule interviews, make decisions. There’s a business case for moving beyond this traditional model of recruiting to one that drives business outcomes and truly makes a difference to your organization. The new normal in recruiting today is more of a strategic endeavor and there’s a whole new set of challenges that go along with a tight employment marketplace. Today’s workforce has matured and candidates have become increasingly savvy about what they need – both skill-wise and job application-wise – from a potential employer. Organizations must be able to meet candidates’ expectations and provide better communication, consistency, and transparency throughout the process. No longer focused solely on the shortage of critical skills or the need to fill positions quickly, today’s recruiting must think more strategically about long-term results, such as improving the candidate and ultimately new hire experience, and investing in more innovative tools and technology. Leaders of small to mid-market firms must continuously build and cultivate relationships with high-performing active and passive talent inside and outside their business. They need to wear a marketing hat too, in order to ensure that their organization is viewed as a powerful employer brand. Focus on the candidate experience. Rethink your approach to candidates and treat them with the same level of attention you place on your customers. In many cases, such an approach requires a different mindset altogether, with new communication plans in place and more innovative tools, too. This focus on the candidate can help solve many of the critical recruiting challenges organizations face today. Are you acknowledging the inquiries and applications of each person who expresses interest in working for your company? For those candidates you interview, are you keeping them apprised of where they are at in your process and what your next steps will entail? Do you know why they want to work for you? Leverage technology. Social media can serve as a powerful recruitment tool, yet many companies have a lot of work to do to optimize its use in this context. Honing your organization’s employer brand through the company’s website can make a world of difference in becoming a recognizable, reputable and trusted employer that draws both active and passive candidates to your opportunities. Aligning your online recruitment efforts with your company’s marketing function will ensure consistency in messaging and allow you to expand your reach to attract the right candidates. Think – and act – holistically. Hiring well is arguably one of the most crucial people practices in your business strategy. Many companies don’t take a holistic approach to their recruiting and hiring efforts. Too often the concept and promotion of the employer value proposition or brand, sourcing, screening, assessment, hiring, and onboarding are all separate processes with separate solutions, handled by separate departments or individuals. How well do your hiring activities coordinate to create a seamless and successful candidate experience, and a positive step forward for your organization? What about the successful candidate’s new colleagues and customers? To truly measure your company’s efforts to make high quality hires and align recruitment with business objectives, the full cycle of scouting to onboarding talent must be well coordinated and communicated across the teams and individuals who are involved and will ultimately benefit from the results. The cost per hire and time to fill positions is no longer the gold standard for successful recruiting. Any company planning to retain the talent it works so hard to hire needs to consider quality above all else. Quality of process, as described in the three tips above, will generate a quality hire, every time. 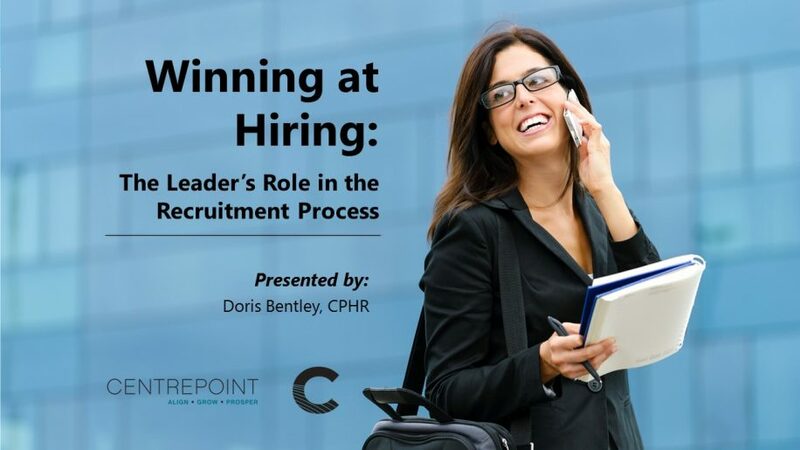 To learn more about what you can do to achieve better recruitment outcomes, please Contact Us for our white paper, Improving the Quality of Hire, or to receive our Winning at Hiring Leader’s Checklist.